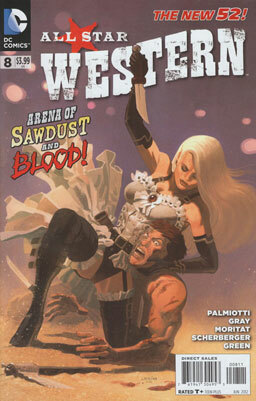 Tallulah Black is back in Jonah Hex’s life, thanks to getting pitched out of the Wayne Casino by a crook’s bodyguard. While she terrorizes Amadeus Arkham, Hex hunts down Alan Wayne to see if he knows anything about the man Tallulah accused of being responsible for her injuries. And the Court of Owls send an assassin after a maniac in Arkham’s asylum. 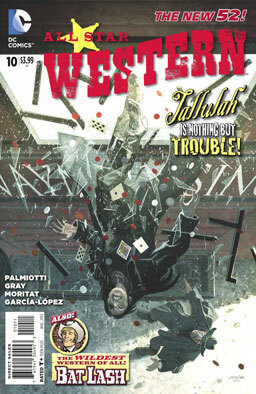 All that plus a backup feature starring the Western dandy Bat Lash! Verdict: Thumbs up. This is one of my favorite issues of this comic, partly because I think Tallulah Black is a wonderful character, and I love the way Gray and Palmiotti handle the way she inspires both desire and revulsion in Arkham. 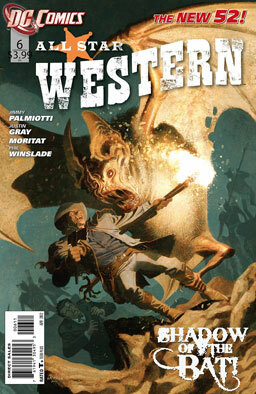 Plus there’s the Bat Lash backup — Lash is one of my favorite of DC’s old Western heroes, and he’s rarely been handled as perfectly as Gray and Palmiotti write him here. And it doesn’t hurt that the art chores for the backup are handled by the great José Luis García-López. And let’s not forget Moritat’s outstanding artwork in this issue, either — he handles Tallulah’s scarred beauty perfectly. All in all, just a plain wonderful comic, and I hope Gray, Palmiotti, Moritat and García-López can keep this level of awesomeness going for a while. Verdict: Thumbs up. 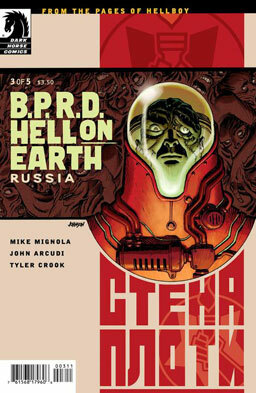 Good story, nice art, nothing really earthshattering, but it’s a good read. 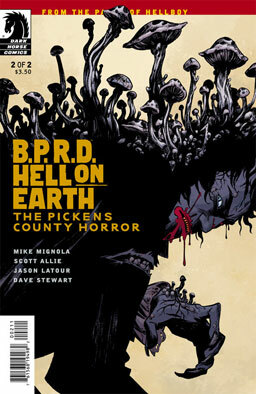 Alright, what do we got in this newest issue of Dark Horse’s anthology series? 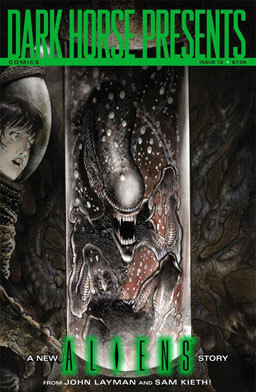 We’ve got an Aliens story by John Layman and Sam Kieth (with not too many xenomorphs, but we do get a hallucinatory teddy bear). We got “The Creep,” a story by John Arcudi and Jonathan Case about a private detective with a case of acromegaly, Carla Speed McNeil’s “Finder: Third World,” Steve Niles and Christopher Mitten’s “Criminal Macabre,” Evan Dorkin’s “House of Fun” (featuring the Eltingville Club), Dean Motter’s “Mister X,” Mike Baron and Steve Rude’s “Nexus: Bad Moon Rising,” Mike Russell’s very funny “Sabertooth Vampire,” and a bit of fiction by Harlan Ellison, with art by Richard Corben. Verdict: Thumbs up. Lots of good stuff, nearly all of it running at very high quality. 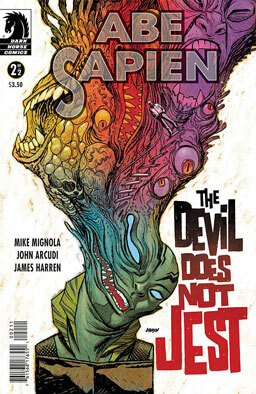 Standouts include Sam Kieth’s artwork in the “Aliens” chapter, the Eltingville Club getting humiliated during a zombie walk, the Ellison story, and as always, the newest chapter of “Finder” by Carla Speed McNeil. Jonah Hex and Amadeus Arkham have been captured by the August 7 terrorist group and are being sent to die on a boatload of innocent immigrants — but wait, it was all a ruse! Arkham let himself by captured by the police on purpose so he could mislead them about Hex’s plans. That gives the two of them time to foil the bombing plot while Nighthawk and Cinnamon beat the snot out of the August 7’s ringleaders. There’s a very brief cameo appearance of one of the Court of Owls’ Talon assassins — just so DC can stick a “Night of the Owls” banner on the cover — then we jump back to Gotham City so we can re-introduce one of my favorite characters from Jonah Hex’s supporting cast. All that plus the continued adventures of Nighthawk and Cinnamon as they hunt down the bandit who killed Cinnamon’s father. Someone please make this awesome Squirrel Girl comic/cartoon. Ty Templeton has some thoughts on gay superheroes. This strikes me as kinda amazingly anti-American. As Americans, we want more citizens to vote, not fewer. The Mole Man has turned grave-robber, snatching dozens of bodies from a cemetery in New York City — including the body of Matt Murdock’s father. 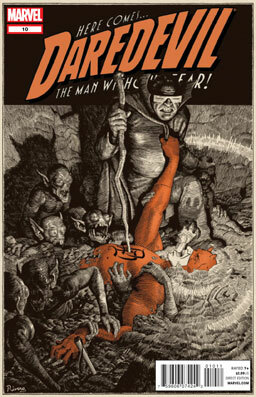 So Daredevil has pursued the Mole Man underground, narrowly avoiding death in the jaws of his monstrous minions. He soon learns the Mole Man’s motives — when he was just normal, short, ugly Dr. Harvey Elder, there was a woman at his workplace who was the only person who treated him kindly — and when he found out she had died, Harvey had stolen all the bodies in the cemetery just to find her and tell her, postmortem, that he loved her. Daredevil shows up, and a terrific fight breaks out — the Mole Man, despite being short, overweight, and almost blind, is a skilled fighter. 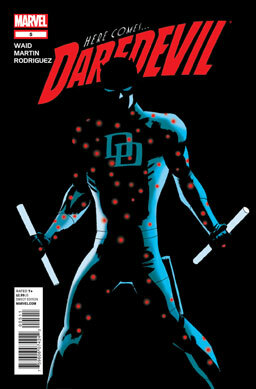 Will Daredevil be able to stop him? Will he be able to save the gravenapped bodies? Verdict: Thumbs up. Near-perfect from beginning to end. Amazing action, great dialogue, and beautiful characterization. Unexpected depths for the Mole Man, who is both sympathetic and astoundingly creepy. It’s a little scary how much fun this comic is every month. 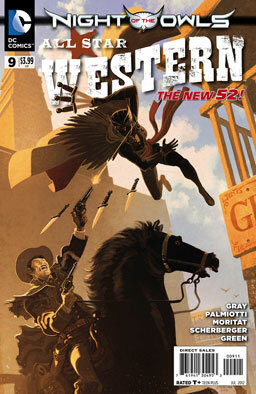 Jonah Hex and Amadeus Arkham have traveled to New Orleans in pursuit of criminal mastermind Thurston Moody. They soon team up with Western vigilantes Nighthawk and Cinnamon after Hex saves a bunch of people in a terrorist bombing. Turns out the terrorists are radical anti-immigration loons, and Nighthawk and Cinnamon recruit Hex, with his ever-present Confederate Army uniform, to spy on them. This leads him to a gladiatorial arena where immigrants and non-whites are served up to be killed by beautiful assassin Z.C. Branke. But will Hex’s undercover investigation stick him in the ring as well? Verdict: Thumbs up. My minor nitpicks are (1) Aw, gee, not more of that useless Amadeus Arkham! and (2) I think Jonah Hex is too well-known in DC’s version of the Wild West to be able to go unrecognized by the criminal community. But other than that, good dialogue, good action, and great art by Moritat. 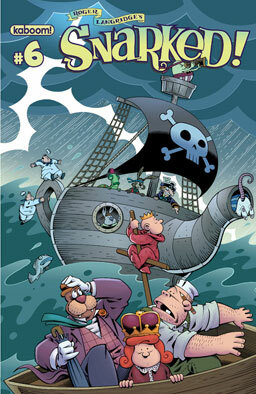 Wilburforce J. Walrus, Clyde McDunk, Queen Scarlett, and Prince Rusty, along with the rest of the crew of the Old Gertrude, are searching for Snark Island and the kidnapped King — but they’re soon accosted by pirates — the Mad Hatter, the March Hare, the Dormouse, Tweedle Dee and Tweedle Dum, the White Rabbit, Humpty Dumpty, and the Caterpillar. The pirates are all starving and desperate for our heroes’ crocodile steaks, and their battle tactics are fairly eccentric — firing some of their own crew at the other ship, then sitting around and arguing until they themselves get boarded. Will Queen Scarlett be able to hatch a plan to subdue the pirates? And will the Walrus manage to rescue everyone when that plan flops? Verdict: Thumbs up. Wonderfully funny stuff. Great cartooning, lots of funny situations, just an all-around fun comic for kids of all ages. Yes, that includes you grownups, too. 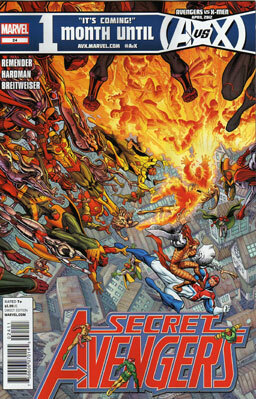 The Secret Avengers run around the robot-filled secret city of the Descendants. They get beat up, argue, get shot, and get angsty while the robots plan some sort of generic Evil Doomy Evil Doom. Verdict: Thumbs down. So much angst, so much boredom. Bully takes a look at pop music and the Fantastic Four. At last! Researchers have finally learned how to communicate with octopuses! This is the only way I’ll ever find baseball interesting. Let your good friends, the Daleks, relax you and EX-TER-MIN-ATE your stress. 12 movies improved by the inclusion of cats. Yes, it’s silly. I don’t care. Verdict: Thumbs up. Some of these stories are just flat-out amazing. The Paul Pope story makes me wish he’d write more straightforward history, as his behind-the-headlines look at the 1969 moon launch makes for really fascinating reading. Kiernan and Lieber’s “Alabaster: Wolves” is about to become a miniseries, and this introduction to the characters makes it look like something I’d really like to read. And “The Once and Future Tarzan” is mindbogglingly awesome stuff that definitely needs to be either an ongoing series or a much larger graphic novel of its own. 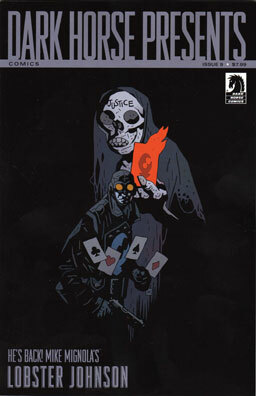 Jonah Hex and Amadeus Arkham are trapped deep underground. Hex fights off a gigantic mutant bat, convinces the underground tribe of bat-worshiping Indians to let them go free, and they both climb up outside of the mansion of Alan and Catherine Wayne. They enlist their aid to get the police to help raid the workhouse and free all the child slaves. Will Hex be able to apprehend the mastermind behind the slavery ring? And in the backup feature, the Barbary Ghost is close to her final vengeance against the criminals who destroyed her family. But is there anywhere she can go when all her foes are dead? Verdict: Thumbs up. 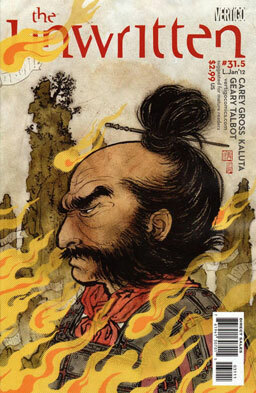 Good story, good action, nice art. 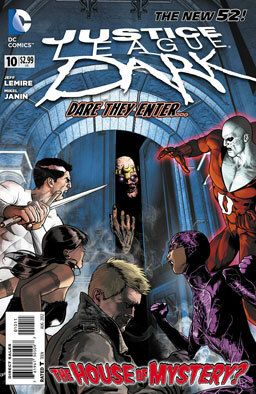 Hey, it’s still worth reading, and that’s something that can’t be said for most of the New 52. “Margot’s Room” is a nicely terrifying little comic. Go get to clicking. Start at the top, work your way to the floor. All of the “Inappropriate Soundtrack” videos are pretty funny, but I think this one was the best. Godzilla and King Ghidorah are down, but Rodan and Battra have just arrived on the scene, both mentally controlled by the evil French telepath girls. They want to control even more giant monsters, and to get Godzilla back to fighting strength, they have Rodan and Battra carry him to a nuclear power plant, drop him in, and blow it up. 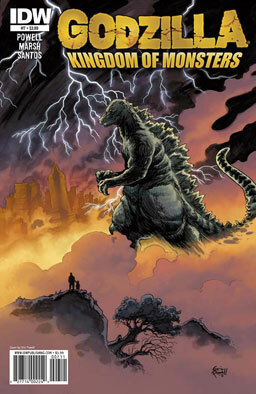 Godzilla is energized, but will he be bent to the twins’ wills? And is anything going to be left standing afterwards? Verdict: Thumbs up. For the most part, a knock-down, drag-out fight between Godzilla, Rodan, and Battra. It’s good fightin’, and even though they’re all giant monsters, it’s all smart fightin’, too. Jonah Hex and Doc Arkham are stuck underground, surrounded by — well, I think we can call ’em mutants. They’re quickly disarmed and thrown into an underground river, where they’re washed out in a waterfall and stuck on a narrow ledge. Things get worse from there, as Arkham’s panic about dying of starvation attracts a bunch of cave-dwelling Indians who all try to kill them. Once they escape them, things get even worse when they have to climb a sheer cliff. And then things get even worse. Verdict: Thumbs up. Wow, Doc Arkham really is completely useless — amusingly, frustratingly useless. 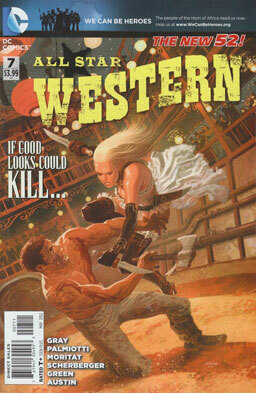 Besides that, it’s got good action, good dialogue, and it’s just all-around good fun. 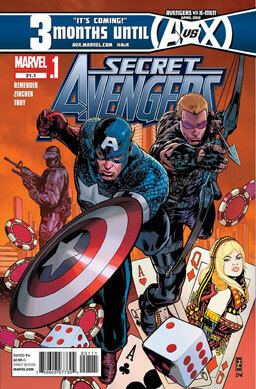 The first of Rick Remender’s run on this series opens with a mission just for Captain America and Hawkeye. They’re running around the rogue nation of Bagalia. They’re on a mission to save an American politician from assassination — but he’s not even a real person, just a robotic Life Model Decoy. 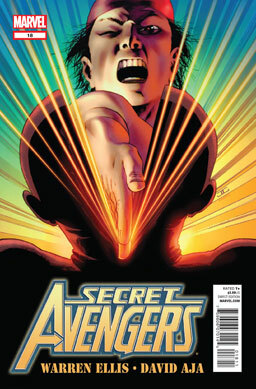 And it turns out the whole escapade was a test for Hawkeye to see if he was ready to take over the Secret Avengers. Cap is mad at him for flunking the test, Hawkeye is mad at Cap for treating him like a junior space cadet. They split up to go home — and then Cap gets ambushed and captured by Whiplash, Vengeance, and Princess Python — they’re working with Max Fury, a Life Model Decoy who looks like Nick Fury, so they can form a new Masters of Evil team. Will they be able to use Cap’s capture to create anti-American propaganda? Honestly, I liked all three of them. I thought all three were well-written and well-illustrated. But I’ve not been able to summon up an ounce of enthusiasm for writing about them in-depth. I think that probably still counts as a thumbs-up. But YMMV. Still tired of doing reviews all the blasted time, so I’m hoping to get all the reviews out of the way before the weekend. Can I do it? Let’s see! Abe is in a bad way after getting mobbed and cut to ribbons by a bunch of little monsters. He meets up with the ghost of the demonologist Van Laer while he’s hallucinating — he tells him how he let his arrogance convince him to raise a powerful demon. He was able to destroy it, but not before it infected his wife with a poison that turned her into a monster. Will Abe and the sheriff be able to survive before help arrives? Verdict: Thumbs up. Monsters, monsters, monsters. Fishmen, ghosts, demons, axes. Everything I need in a pre-Halloween comic book. Yes, get both chapters of this, if you can. Blind translater Austin Cao has hired Matt Murdock to represent him in a wrongful termination suit. But Cao was fired because his boss feared he’d overheard some shady dealings, and the crooks employing his boss decide to deal with both Cao and Murdock with a hit squad. It’s a good thing Matt Murdock is Daredevil so he can beat the stuffins out of the assassins. Matt gets Austin to a safe location, then helps him remember the conversation he’d accidentally overheard — a scheme to register the ships of criminal organizations with Latveria to make sure they’ll be able to fly below any legal radar. Daredevil moves to protect Austin’s boss from the bad guys, but there’s a new assassin on the way — a superstrong killing machine called Bruiser. Verdict: Thumbs up. Smart, smart writing from Mark Waid, and amazingly gorgeous art from Marcos Martin. You’re reading this comic, aren’t you? Why aren’t you reading this comic? Steve Rogers, Sharon Carter, and Shang-Chi, Master of Kung Fu, are in a secret hideout in another dimension — a broken dimension, actually, with laws of physics that don’t work right. However, some matter in this broken dimension can be transported to our own — and due to its weird physical properties, this transmatter can very easily be made to undergo nuclear fusion. This means that a small amount of it could be used to completely destroy the Earth. So they need to stop a degraded clone-copy of Arnim Zola from transporting the transmatter back to Earth. What’s this all boil down to? A heck of a lot of Shang-Chi beating up people. Verdict: Thumbs up. Come on, this issue is basically a tribute to how much fun it is to see Shang-Chi beat people up. And that’s a very, very good thing. 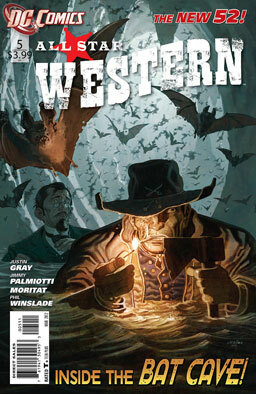 Jonah Hex and Amadeus Arkham are in big trouble. They know that Gotham City’s serial killer is actually supported by a secret conspiracy of many of the city’s most powerful people, all belonging to something called the Religion of Crime, and they’ll never let them live with that knowledge. Of course, you send a squad of gunmen to take on Jonah Hex, you’re likely to end up with a squad of dead gunmen. But Hex and Arkham are still just two men against a whole city of evil. 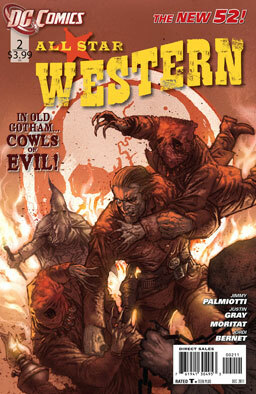 All that, plus there’s a backup story starring the new version of Western hero El Diablo, riding into town to save a bunch of townspeople from zombies. Verdict: Thumbs up. Nice to see that the Religion of Crime hasn’t been scrapheaped with the old DC Universe. Nice to see Hex shooting a buttload of bad guys. But I do hope we see Arkham doing something other than merely observing the action soon. 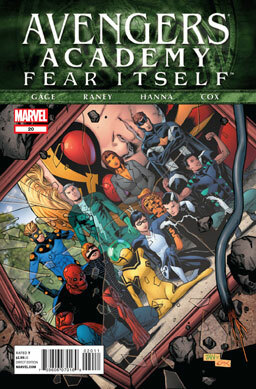 In the aftermath of “Fear Itself,” Veil has decided to leave Avengers Academy — and she calls mega-wealthy metahuman sociopath Jeremy Briggs to see if he’ll give her a job with his company. In addition, Speedball has also decided to quit the group, finally feeling that he’s made up for the Stamford disaster and wanting to be a regular hero again. So is this the beginning of the end of Avengers Academy, or just the end of the beginning? Verdict: Thumbs up. The farewell to Veil, Speedball, and some other characters is nice — but honestly, the ones leaving were the ones that were the least interesting characters in the comic. 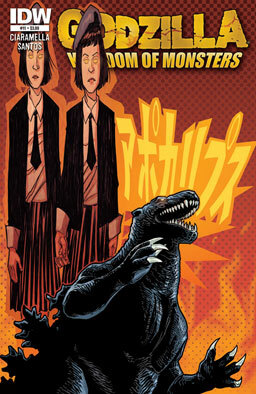 Still, I’m fairly keen on the fact that this really cool comic is going to continue. All reviews complete? ALL REVIEWS COMPLETE! Another article on how DC is shooting itself in the foot by marketing themselves solely to immature white males — and why it’s important to keep saying so. This was a really interesting article about scientists who study octopus intelligence and the suprising things they’re learning. If you’ve been missing Allie Brosh’s posts on “Hyperbole and a Half,” she has the sad but inspiring story of where she’s been. 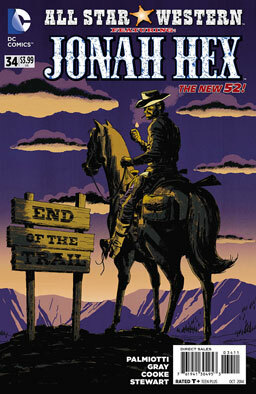 The Rebooted version of Jonah Hex has some very good points in its favor — specifically, that Justin Gray and Jimmy Palmiotti, longtime writers of the previous “Jonah Hex” comic, are again in charge of this one. 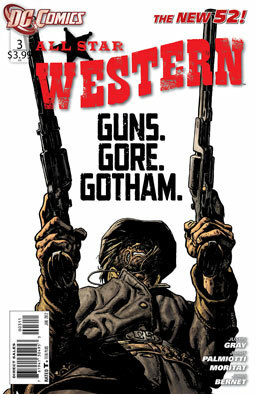 It does lead to an odd question — when the series is set in Gotham City, long considered to be the DC version of New York City, is it really correct to call it “All Star Western“? 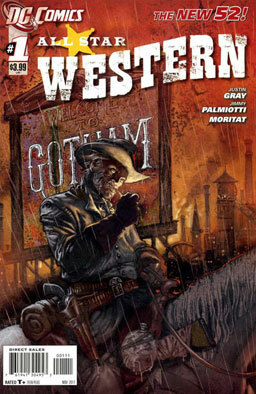 Jonah Hex rides into Gotham City in the 1880s and is soon entangled in an investigation into a series of serial murders, partnered with Dr. Amadeus Arkham. While Arkham knows a lot about psychology and book-larnin’, Hex is the guy who knows where to find trouble and how to get people to tell what they know — and how to hurt anyone who gets in their way. But do they have a chance at uncovering the fiend — or fiends — behind the murders? Verdict: Thumbs up. So much to love in this one. You got scarred, violent, rough-mannered Jonah Hex as Sherlock Holmes and brainy, sophisticated — and also probably completely insane, if I read the conversation with his mother correctly — Amadeus Arkham as Dr. Watson. 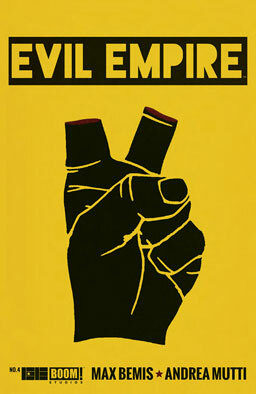 You got Gotham City at its grimiest, at least as dangerous and lethal as anything on the frontier. This one is definitely, right now, a keeper. Everyone in the Big Apple is getting Spider-Man’s powers — and after a certain period, they actually turn into giant spiders under the control of the Spider Queen! The Spider-King makes an appearance before her — but it’s really Flash Thompson, the new Venom, in disguise, while Eddie Brock, Anti-Venom, does all he can to use his powers to cure everyone with spider powers. 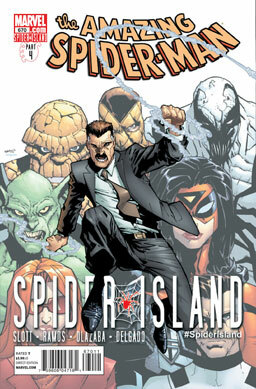 Spider-Man teams up — gleefully — with Mayor J. Jonah Jameson, who’s gotten his own spider powers — but JJJ starts to lose control when he gets near the Spider-Slayer, who killed Jonah’s wife. Will anyone be able to find a cure in time? Or is it already too late for New York? Verdict: Thumbs up. Nice, crazy story in all the right ways. Love the writing by Dan Slott, love the art by Humberto Ramos. This has been a pretty fun series. Verdict: Thumbs up. I’m liking seeing more focus on Steven Woods and less on the government’s (and everyone else’s) response to the monsters. It’s long passed the point where the planet’s going to come back from this, so it’s more interesting to see how a few people deal with the end of everything.